Montana Sens. Max Baucus and Jon Tester are urging the Swiss commodities company Glencore International AG to reopen its shuttered Columbia Falls Aluminum Company plant, while expressing concern over the company's request for a large property tax reduction at its Flathead County facility. In a recent letter to officials at the Bonneville Power Administration and Glencore, the parent company of the Columbia Falls Aluminum Company, Baucus and Tester wrote to "express their support for a power purchase agreement" that would enable the CFAC aluminum plant to begin operating again. The senators also question why Glencore is asking for lower taxes at the plant when the company's value is expected to rise by billions of dollars soon. Glencore announced an initial public offering (IPO) in April, around the same time it came to light that CFAC officials were applying for a 95 percent reduction in property taxes at their Columbia Falls aluminum plant. "Given Glencore's announcement of an initial public offering that could raise as much as $12 billion for the company," the senators wrote, "we are concerned about the company's request under a new provision in (state) law that Flathead County waive 95% of the property taxes for the CFAC plant." "Reducing the tax base in this manner is harmful for schools in Flathead County," the letter continued, "and we urge Glencore to work with the local community to identify a reasonable solution." Multiple reports have described Glencore's IPO as one of the biggest in the London Stock Exchange's history and the largest in the world this year. Forbes reports that Glencore CEO Ivan Glasenberg may become the richest man in South Africa after the company begins floating shares on both the Hong Kong and London stock exchanges this month. Glasenberg's worth could reach $10 billion. Along with Glasenberg, the IPO will reportedly create four other billionaires. Glencore has long been considered a highly secretive company, which makes its initial public offering all the more noteworthy. As one of the world's largest commodities suppliers and traders, the company, according to its website, directly or indirectly employs over 54,800 people in 30 countries in its industrial operations, and another 2,700 across 40 countries in its marketing operations. Headquartered in Baar, Switzerland, Glencore has a history of controversy, stemming from its activity in geopolitically sensitive areas such as the Congo, along with the well-documented legal travails of its founder Marc Rich. Rich was indicted on federal charges of illegal business dealings with Iran and tax evasion. Former President Bill Clinton, on his last day in office, pardoned Rich. More recently, Reuters reports that Glencore has listed its involvement in a Belgian criminal fraud and corruption case in a prospectus outlining risks to investors. In May of 1999, Glencore purchased the Columbia Falls Aluminum Company, four decades after the plant produced its first aluminum in 1955. In its heyday, CFAC employed around 1,500 employees and was by the far the largest consumer of electricity in the state of Montana. For years, the Bonneville Power Administration sold at-cost electricity to CFAC and other industrial customers. But since 2008, partly because of litigation challenging the agreements between the BPA and its industrial customers, the aluminum plant has struggled to keep its doors open in the face of high energy prices. In October of 2009, it went dark. Since then, the aluminum company has unsuccessfully tried to negotiate a long-term contract with the BPA. Last December, Tester wrote a letter to the BPA urging the agency to finalize a contract with CFAC, arguing that reopening the plant could create 350 jobs. 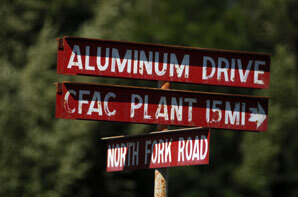 CFAC spokesman Haley Beaudry recently said that his company is "trying every way we can" to reopen the plant. A stipulation of being granted the 95 percent tax reduction, however, is that the facility is expected to be inactive for at least another six months. Beaudry was scheduled to meet with school and county officials on May 9 to discuss the tax reduction. In this most recent letter, Tester and Baucus again used the figure of 350 jobs and emphasized the importance of job growth in economically depressed Northwest Montana. The senators said current market conditions are favorable for a reopening. "We have seen the market for aluminum grow significantly lately, while the spot market price of power has declined," Tester and Baucus wrote, "and we view this as a real opportunity to continue Montana's economic recovery and maintain our manufacturing base." "BPA has been a strong partner for Montana and CFAC in the past," they added, "and a strong partnership is needed for the future."